Investing is never without risk, but some can be less tolerable than others. Let’s take a glimpse at how a high-risk investment portfolio looks like and why risks are elevated. Risk is the chance that one’s investment returns fall below expectations—a probability that increases when assets promise higher than usual yields. All investment products have accompanying risks that can affect a portfolio’s investment returns. However, determining a portfolio’s risk level is subjective and depends greatly on the investor’s risk tolerance. While some investors strive for a balance between risk and return with a diversified portfolio, others prefer collecting high risk assets in order to benefit from potentially higher returns in a short span of time. Here’s a quick look at high risk investing to understand why some investors consider the strategy. What is high risk investing? High risk investing requires investors to accept more risk in exchange for higher returns. This is done despite knowing that earnings are not guaranteed and they could lose much of, if not the entire, principal investment. There are two necessary factors to consider when discussing high risk investments: probability of loss and impact. That means investors must consider not only the chances of losing their capital but also how hard the impact to their portfolio will be if loss is experienced. For instance, a portfolio may seem low risk if it is composed entirely of long-term government bonds, but in the period between the initial investment and the final coupon payment, inflation could severely erode the value of money. There is no single way to define a high risk portfolio because investments are exposed to different risks. The best way to identify if a portfolio is high risk is to understand what risks the underlying assets are exposed to. What kinds of investment products can be considered ‘high risk’? Shares are typically affected by market volatility because share prices can fluctuate multiple times in any trading day. However, shares in their Initial Public Offering (IPO) phase pose a higher risk for capital loss. This is because some IPOs, especially shares from popular companies, tend to be overvalued. This means that after its initial float, the overvalued shares may decrease in value and generate loss instead. Debt securities can be safe investments, but it also has high risk variations. The most risky are junk bonds—bonds that attract investors by having coupon rates higher than typical bonds. Junk bonds are often issued by high risk companies or entities which professionals believe could default on their debts. While financial rewards could be great when investing in junk bonds, the risk of losing the principal investment is also greater. Some invest in start-ups or small companies that investors believe could experience high revenue growth to justify their acceptance of bigger risks. However, not all start-up companies with great ideas actually become successful—many are unstable in its initial stages. Some companies get swallowed up by their competition or suffer from poor management choices, among others, prompting their closure. Some emerging market investments can be considered high risk because they can be affected by volatility.The period of high growth of emerging markets can be short-lived as markets strive to gain stability. There may also be political and economic unrest that can lead to lower than expected investment returns. Property involves a lot of money to set up, but if the investor is not cut out to be a landlord or landlady or if they leave the management to a property manager with insufficient skills, even a positively geared property could result in negative returns. The risk is heightened by the fact that investors usually need to take out a loan to purchase the property, which could tie up their finances for the next decade. Not all high risk portfolios look the same because there are different approaches that investors use to take on risks. A portfolio’s asset composition would depend on the strategy they employ. Creating a concentrated portfolio, focuses on selecting assets that belong to only one sector. For instance, if the mining industry is booming, an investor may divert all investments to mining companies. This allows them to take advantage of high returns from the sector while it is riding high. Another strategy is called momentum investing. Investors using this strategy focus on investing in assets that have already gained traction, riding the momentum as they increase in value. This strategy is mostly used in shares investing. Some investors may also rely on ‘betting’ or anticipating market movements by leveraging their portfolio. These may be done through futures, options and currency trading. As mentioned earlier, an investor’s risk tolerance determines their perception of how high a risk is. 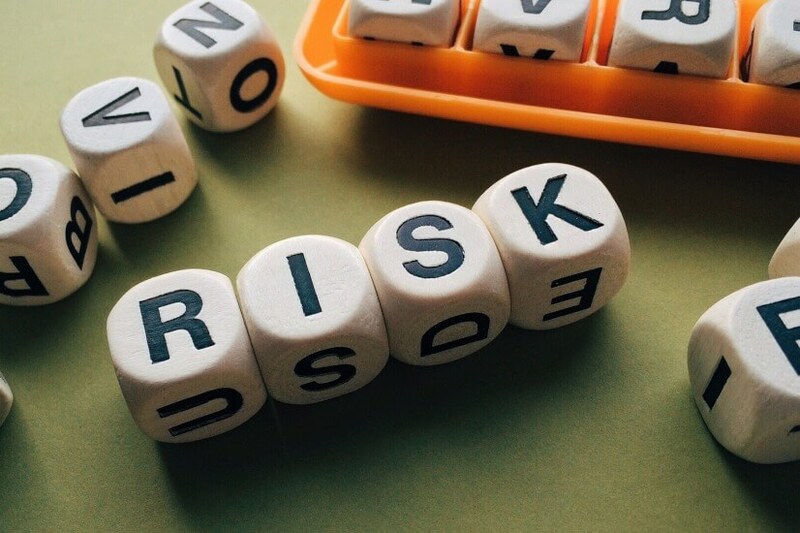 This means that investors with high risk tolerance may still not consider any or all of the above-listed assets in the sections above as risky. Creating a high risk portfolio exposes an investor to huge risks and could cause them to completely lose their capital—it shouldn’t be taken lightly. This strategy requires careful planning and discipline to ensure that they will not simply be swayed by emotions with every market movement, especially since rewards are not always immediate. It is recommended that inexperienced investors discuss potential strategies with a licensed financial adviser first before employing high risk strategies.